Forgive a stupid question, but what exactly is Marvell Storage Utility? Usually I just disable all the Marvell SATA controllers, but on the P67A-UD7 it uses one for the back panel E-SATA ports, and I'd like to have those enabled (just for general hot-swapping of movie storage drives etc.). 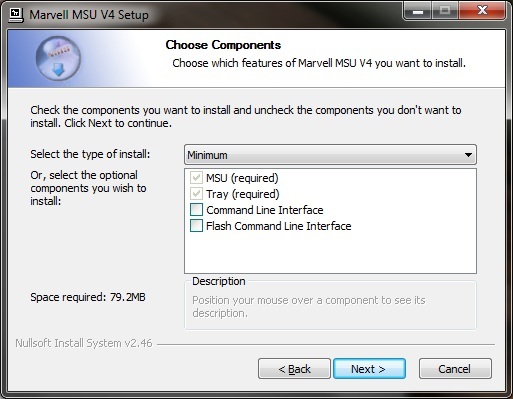 Is MSU Marvell's equivalent of the spam interface and tray service that gets installed with Intel's RST drivers - just a useless utility that tells you when something is plugged in and lets you set up what you can already set up via Windows? Last edited by oubadah; 02-17-2012 at 04:24 PM. 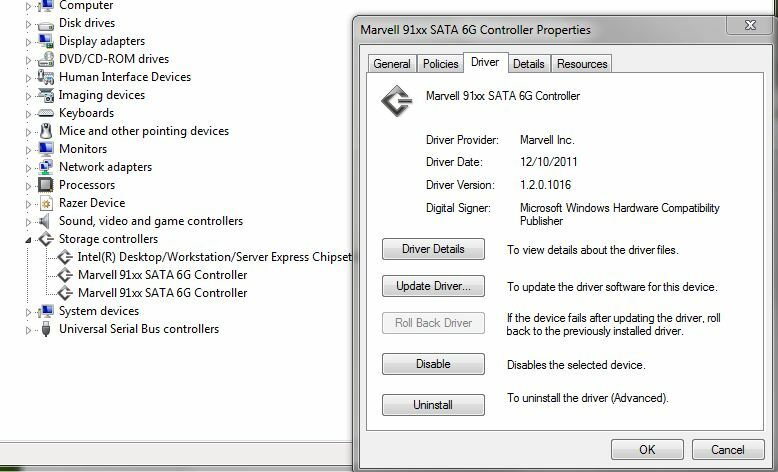 The MSU is the Marvell controller drivers, the ones you want installed, not the main "disk drivers" only package, it does not have an interface. Marvell Tray service is a different app, it's the web browser equivalent of Intel's RST interface, where you can check drives, change settings, create RAID arrays, ect. If MSU is the drivers, then what are the 'drivers' listed on this page: Marvell drivers (scroll down). Last edited by oubadah; 02-18-2012 at 06:01 AM. Magni Console drivers is the only ones you need, and should be in the MSU/MRU package last I used it but not the MSU itself. But wow, ya it wasn't 40MB last time I looked, it was the smaller package, maybe 3-5MB and was Magni Console (Nodrv). Sounds like they have renamed things lately, and reconfigured what goes into the various packages. The last image you show looks like it includes tray, Magni, and drivers, all in one, so ya you don't need MSU if that's what it is compiled of now, just MRU. All you need for performance is Magni console driver, and that will leave a yellow exclamation in device manager for the disk controller, but still installs the driver you want. What you don't want is the drivers you installed, but I hear they are better now so you might be alright. Very confusing and I know all of that sounds contradictory, but it's because they've changed things up since I last used it. And the original magni console driver was small, helped performance, didn't install Marvell disk or controller drivers that appeared in device manager (Which looks like it does now anyway, but hard to tell since you installed several packages, the main drivers I say you don't want are hard to uninstall, so those may be why you see controller drivers in device manager. They are not the same controller drivers I'm referring too as the ones I meant do not show up in device manager, or any program that detects disk drivers like AS SSD. If you want my advice on new the new driver packages and which to install or not install I'll have to grab them and restest for you so I could say which are which. If you want me to do that let me know, but if you do want me to and want to follow my advice and this is your windows install disk then you'll need to do a clean install to sort that mess out and only have the correct drivers installed for best performance. 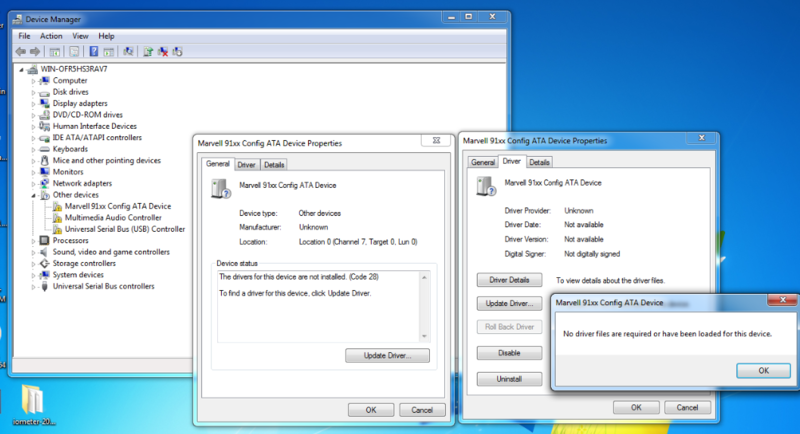 You want nothing "No drivers for this device are installed" showing in device manager for the Marvell 91xx Config ATA Device (Will only show up like that without the drivers you have installed), I'm rebooting now to my SSD setup testing install, it has correct setup showing in device manager, image coming in a second! I know this is a bad example because it's old drivers, and RAID with SSD's, but I have these handy already so I'll use them as it's much easier then a whole round of new testing. 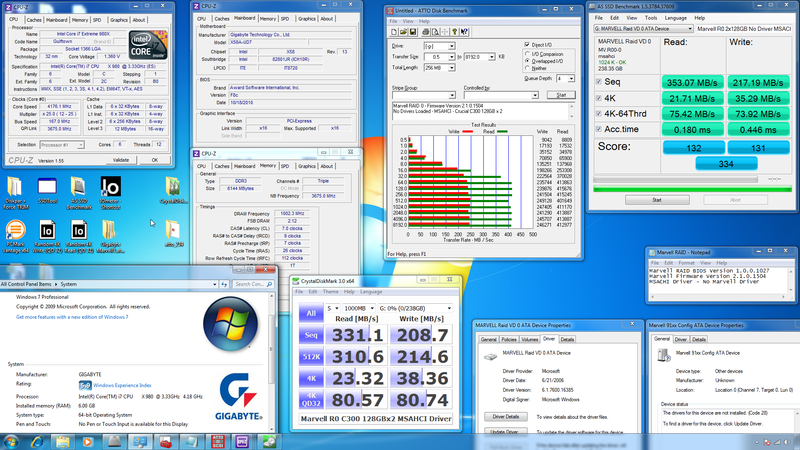 This is an example of performance, with the above (Magni Console drivers only), and with Marvell disk and controller drivers also installed (Second image), you can clearly see the one without Marvell drivers is the best performing setup. 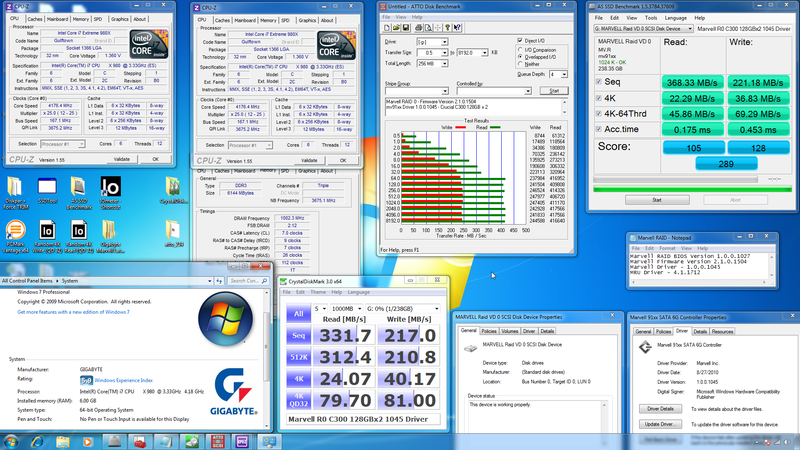 Of course, again, that is old drivers and in RAID which the Marvell controller can't handle, but the performance difference can easily be seen and it's much more obvious how much better it is setup that way with single drives too! Last edited by Lsdmeasap; 02-18-2012 at 12:34 PM.